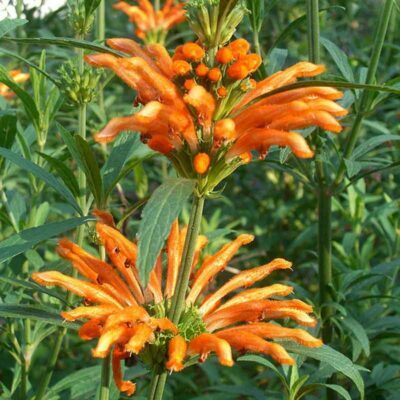 Velvety tubular orange flowers are a KNOCKOUT! A must-have for late season display. 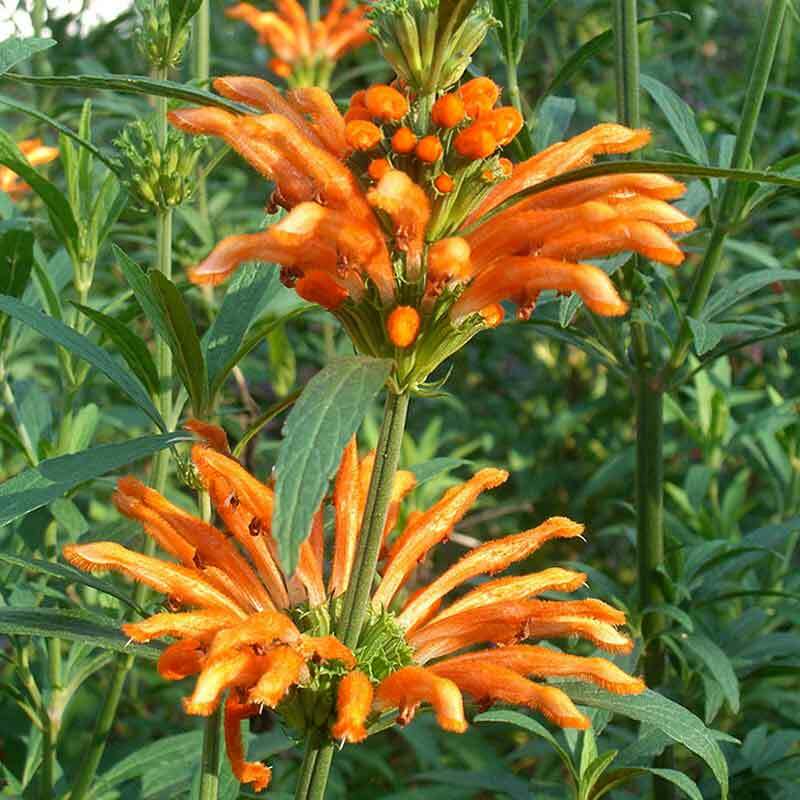 Lion’s Ear blooms late summer to fall, the showy flowers coinciding with pumpkins and other fall colors. Way too much fun! Attracts butterflies and hummingbirds. Full sun. Height 3-5′. Spread 3′. Hardy to 15 degrees. Protect roots in the winter or grow as an annual.